Breakheart Reservation is a 640-acre (260 ha) Massachusetts state park located in the towns of Saugus and Wakefield. 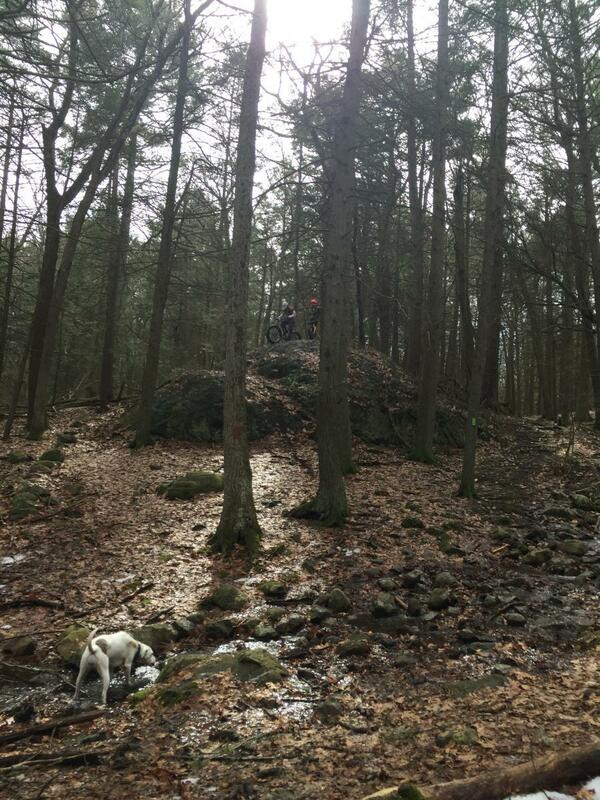 The reservation features a hardwood forest with two freshwater lakes (Silver Lake and Pearce Lake), a winding stretch of the Saugus River, and scenic views of Boston and rural New England from any of seven rocky hilltops. The park is managed by the Massachusetts Department of Conservation and Recreation. Review: One of the best kept secrets in MA. It may be small in size but with 15 miles of tech singletracks that can be linked with very minimal use of fireroads it will challenge even the best and most fit of riders. One of the few places in the greater Boston area that you can grab 1k vert of fun accent and decent in under 10 miles. A small dedicated group of trails riders and builders have kept these trails in great condition and added some really fun skill features and alternate agresive lines. Since most of the good trails aren't on the map it is a good idea to find someone that is familiar with the trail network to show you the way around. Breakheart Hill Forest MTB Trail 5.00 out of 5 based on 1 ratings. 1 user reviews.